Portable Data Collection Scanners - Mobile Data Terminals & Wireless Bar Code Scanner Solutions. Is your team looking for a portable data collector for your inventory management system? BaxTek has everything you need for bar code data collection, including handheld bar code scanners, wireless bar code scanners, and portable bar code scanners. We also have the accessories you need for your handheld barcode scanner which include chargers and barcode labels. Ask BaxTek to assist you in deciding which wireless bar code scanner is correct for your application. We can help you put together a solution that includes the right mobile data terminal and cordless bar code scanner. We offer barcode scanners & printers from the leading manufacturers such as Motorola/Symbol, Intermec, HHP, LXE, Unitech, Zebra, & Datamax. No matter what your workers need to get the job done, Motorola's MC75 Worldwide Enterprise Digital Assistant delivers by combining an unparalleled number of business capabilities into an easy-to-carry rugged device. 3.5G GSM HSDPA and 3G CDMA-EVDO Rev A support provides high performance voice and data services around the globe. The MC5590 brings a new level of functionality, flexibility and rugged design to pocket-sized mobile devices designed for workers inside the four walls. The smallest and lightest Motorola rugged EDA, the MC5590 packs the power of a walkie-talkie, VoIP phone, mobile computer, bar code scanner and color camera into a robust business-class device that offers enterprise manageability, security and scalability — with true consumer styling and ergonomics. Unitech PA968 Wireless Enterprise Digital Assistant.Unitech’s innovative and rugged PA968 mobile computer is designed for workers outside your four walls. Utilizing the built-in GPS tracking system with InstantFix and 3.5G (including HSDPA) wireless capability, the PA968 can quickly and seamlessly transmit collected data to a server and enable tracking and tracing whenever it may be required. 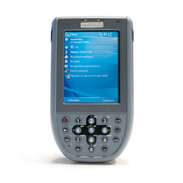 Powered by Microsoft Windows CE 5.0 or Windows Mobile 5.0, the PA600 is designed for users who need a compact, yet durable PDA for data collection and real time transactions. The CN3 by Intermec is one of the smallest, rugged & most advanced computers in the market that utilizes both WiFi & Bluetooth radios. This unit combines ruggedness, reliability, & good ergonomic design. Easy to read setup menus & display icons are features that Intermec has added to compliment your mobile data collection experience. Intermec has options of a Windows CE 5.0 or Windows Mobile 5.0 operating systems. The rugged bumpers at each corner & magnesium top cover insure trouble-free mobile data collection right out of the box. The most compact mobile computer in the series, the Dolphin 7600 offers a range of features and functionality superior to other devices in its class. Ideal for use in retail, parcel delivery, postal route accounting, field services and warehousing, as well as for task management applications.